Kyle McDonald’s Kinect art – among the experiments that made the idea of putting depth cameras into phones suddenly appealing. Photo (CC-BY) the man, the legend, the Kyle. It wasn’t so long ago that point-and-shoot cameras were big, dedicated affairs. Now, camera sensors are everywhere. The news for the open source art hacking community using this stuff? Bad. And good. But… more on that in a bit. With touch staked out as input method, vision and, more broadly, “perceptual computing” seem poised to reshape the way we interact with devices. Touch broke the boundary between machine and person imposed by keyboard and pointer – as Jobs famously said, using your finger as the pointing device. But, nearly a century after Leon Theremin first built musical instruments that sensed presence, the next interfaces may not require touch at all. This week, Microsoft should have the headlines with Xbox One. But, having already seen the Xbox sensor, just as much interest may revolve around Apple’s reported acquisition of PrimeSense. Much speculation from the tech scene has suggested that Apple is focused on their Apple TV product. That may be possible – and these interfaces do work well in living room-style situations, as Microsoft so vividly demonstrates. But a look at what PrimeSense has next suggests the iPhone and iPad might be just as likely recipients of the tech. Apple CEO Tim Cook said that the company had done 15 acquisitions in fiscal 2013 – or an average of one every three to four weeks. Those deals include maps-related technology companies including WiFiSlam, Embark and HopStop, and Passiv, a low-energy chipmaker whose tech can be used for fitness and health-monitoring wearable devices. And you can put those acquisitions alongside past acquisitions that helped Apple bring its hardware and systems-on-a-chip expertise in-house. Apple and Microsoft aren’t the only players in this game. Despite lackluster efforts by PrimeSense to partner with other hardware makers, there are still other efforts. Intel, for instance, is working on their own “Perceptual Computing SDK” which they hope to cover a range of Xbox-like capabilities, from voice to facial recognition to depth sensing. Right now, there’s just one Creative camera, but that could change – and Intel has the expertise in their OpenCV toolkit, which before Kinect was the standards bearer for artists tinkering with vision. So, how do artists fare in this? As far as PrimeSense, it’s hard to be optimistic. For Microsoft’s part, they have been stalwart advocates of their own development tools for Kinect and Windows, and most recently embraced interoperability with open source tools on Windows. And while not officially endorsed by Microsoft, hacked tools have continued to thrive on other platforms – and Microsoft has been generally supportive of the work that has come out of those platforms. OpenNI is both a set of code and an organization. The code is safe; it’s released under an Apache license. And once something is open sourced, you can’t un-open source it. If Apple decided to use their acquisition of PrimeSense to take patent action against competitors, that’s possible, and Apple has been aggressive about their patent portfolio. But that brings us to the more important point: the OpenNI software is middleware. It doesn’t work without the camera and sensors. The issue is, a lot of the real work is presently in the sensor, not the software. It may be the system-on-a-chip expertise that Apple specifically desired. Doing this in hardware is what allows depth sensing today to work so accurately, and so quickly. Now, it’s not that OpenNI’s middleware isn’t useful; it is. And having a standard set of APIs has created common practice in these applications, one that should allow people to substitute new cameras and sensors as that tech improves. The problem is, that doesn’t resolve the question of where the hardware will come from. We know with Microsoft (well, mostly, as we await Windows developer tools), but Apple would be entirely hypothetical. And it would be up to Apple how much of the capabilities of the camera they expose, which becomes doubly an issue if you’re talking about mobile devices and privacy. Side-Kick is a games house – that makes stuff with PrimeSense tech. Willow Garage is a robotics house – that makes stuff with PrimeSense tech. Asus was mainly an OEM – that needed PrimeSense to make any depth camera. 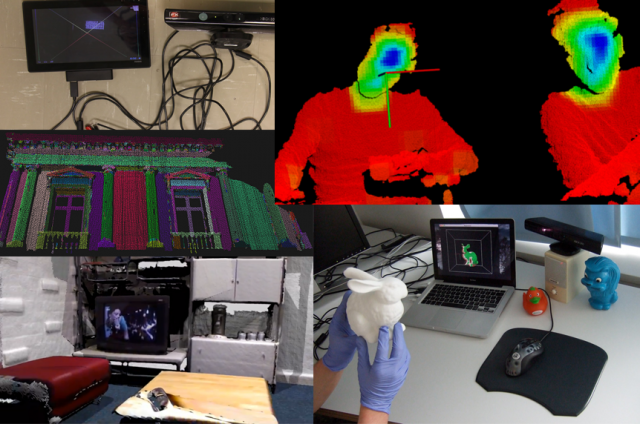 The most interesting partner, actually, is the least known – OpenPerception makes a point cloud library, but more generally, they’re an open source foundation dedicated to open software. They’re likely to be the torch-bearer from OpenNI going forward because of their software specialization. And even without OpenNI, they can continue to focus on open, cross-platform solutions, and what can be done in hardware. And while most of the GitHub commits come from PrimeSense, OpenPerception is doing code sprints and more that are generating new code. It’s also relevant that they’re partnering with private industry, demonstrating that the open source approach can yield commercial value, too. 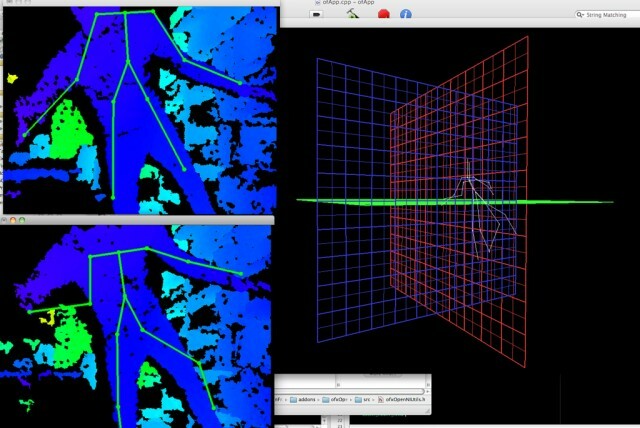 The PointCloudLibrary – making projects, making code, in an independent, fully open-source-dedicated organization. Check out more of what OpenPerception is doing. PrimeSense does sell their own developer sensors, which you can still buy – for now. (Might want to act fast, if you really want one.) But perhaps the bigger question is whether these other initiatives will be able to keep pace, in what’s likely to be a very competitive fight to get smaller, more precise, and use less power. My sense, though, is that the value of the code artists have contributed to tools like OpenFrameworks and Processing, in their own projects and libraries, will be greater than what’s currently available in OpenNI. Indeed, given the more secure future of the Microsoft tools, that effort we looked at this fall has just become more important. For one glimpse of where open hardware might go, look at the Kickstarter-funded (generously-funded, over its goal by a lot!) STRUCTURE.IO. Of course, “with OpenNI” has generally meant “with PrimeSense.” It’s possible Apple could choose to support open vision the way they have WebKit and Safari, but again, because more of the magic and value is in the hardware, not the middleware, don’t hold your breath. For the same reason, though, other open code efforts could work with hardware like this – or competing PC and mobile hardware – and we could see more development. I’m also guessing artists are nonetheless dreaming of someday writing tools for the iPhone or a future Apple TV or the Mac, though – and while it’s too early to speculate what that looks like, it could be very nice, indeed. In fact, if Apple is open to creativity and finds a way to make this tech available to artists, and not just something proprietary like Siri, it could spawn a whole new generation of apps. If they do make that call, the work of a community of intrepid artists who have demonstrated what’s possible are who you should thank. So, the ground is shifting. But don’t sweat it too much: it’s still artists and developers (and, mainly, artistdevelopers who can succeed at both) who make this stuff useful. “Perceptual” and “ubiquitous” computing had been something people predicted for years, but as with touch and even photography, neither becomes valuable until people use them in creative ways, until they demonstrate the value to the culture – and make that translate to value for the consumer. The competitive, fast-changing landscape should make things a lot more interesting. And open art around these tools is here to stay.